This versatile bed has the benefit of being able to match nearly any almost any bed decor you already have. With its minimalist modern design it looks great snuggled up to a wall or floating in a room. 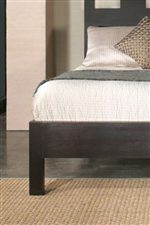 Built from sustainably harvested Tropical Mahogany hardwood solid wood, this simple contemporary piece will add a sophisticated look to your bedroom. 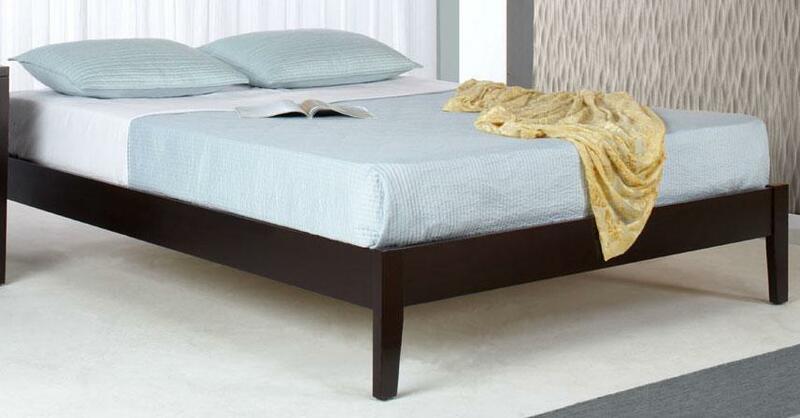 This bed is available in Twin, Full, Queen, King and California King sizes. The Nevis Twin Simple Platform Bed by Modus International at Michael's Furniture Warehouse in the San Fernando & Los Angeles area. Product availability may vary. Contact us for the most current availability on this product. PB23D4R 3/3 / 3/4 Twin/Full Rails 1 40" 3" 11"